I don't remember where I first spotted Nabi Purple Jumbo Glitter, but the instant I saw it I knew I had to have it. 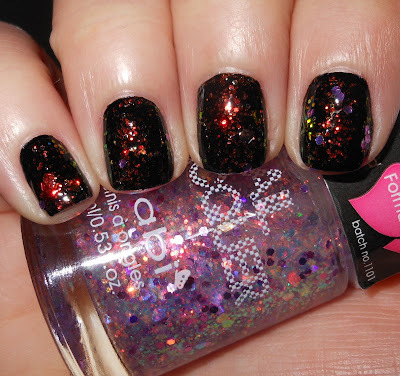 I did not own any Nabi polishes, and never saw them the store, so this brand is entirely new to me. I was very excited to see the brand avaliable on Amazon and for very cheap prices. I snagged Purple Jumbo Glitter and a few others and I'm pleased. Purple Jumbo Glitter is a mix of purple toned multi-sized iridescent glitters in a clear base. Color: This is pretty spectacular. 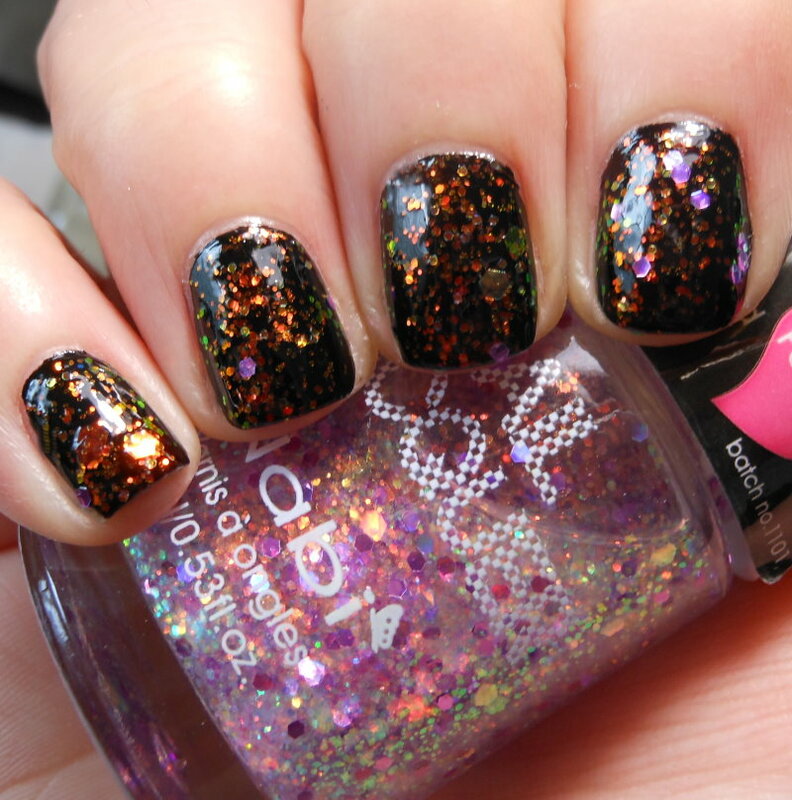 I love the rainbow of color flashes you with the glitters in this polish. This is pretty much a sunset in a bottle. 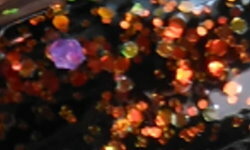 The glitters in here flash from purple, pink, orange, yellow, and green. The color flash isn't subtle either. Awesome! I don't have anything like this. Formula: I didn't have much trouble with this formula. There are some thicker and larger glitter in here that keep it from being easy breezy to apply, but it didn't really bother me. I will say this polish stinks a bit as far is how it smells. It's tolerable, but definitely more noticeable than other polishes. Price: Unbelievable. I paid $2.20 for this on Amazon.You might as well stock up on this brand because they're all cheap. The shipping was super cheap too. Overall: Awesome unique glitter topper polish. I love the color. I love the price. No complaints! This is gorgeous! I grabbed a bunch of Nabi colors off a blog sale but not this color. It looks so good!